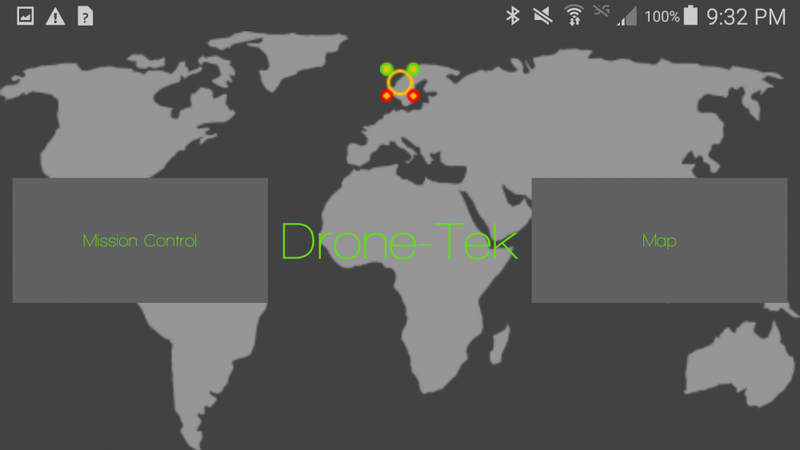 Wolf-Tek released their app Drone-Tek to the Google Play store on March 2, 2016 as a flight operating system that will work with all Inspire and Phantom drone models. Drone-Tek gives drone operators the ability to take a hands-free approach and autopilot their drones with precision. Using GIS and mapping, drone users can download the app, turn on the drone, the remote control, and connect it to their mobile device. After connecting to the device, users will draw out lines and point features as a flight path and pin point at which points they want to take specific pictures, or video the entire flight path. Drone-Tek will land and take off the drone for users without having to use the controls, and will fly precisely to the flight path without any human error. These flight paths can also be saved, to fly later or fly over and over again. The app has an orbit feature where it will fly repeatedly over an entire area to capture on video. Drones can also be set in app to take a flight path that follows the device and controls are moving. Drone-Tek can set the altitude, the speed, and camera direction of the drone before you decide to fly. “If users want to have the drone follow them while walking a building site, or while driving in a car over a large agriculture field Drone-Tek will set that flight path for the drone,” Lead Innovator Kyle Taylor said. Taylor said he recommends that if you use the follow feature with a drone be sure you have a clear fly area when you are walking or driving void of trees or obstacles. The app will also have a built in weather monitor so users can decide if it is safe to fly their drones, or how much time they have to fly before a storm. Drone-Tek requires that all of the firmware be updated on the Inspire and Phantom models to work correctly. The app will be available on Google Play for a one-time purchase of $19.99. CEO of Wolf-Tek Michael Golden said he wanted to create Drone-Tek for people that use drones that require specific flight plans and precise video documentation of an area. “Whether you use drones for surveying, in GIS, agriculture, or engineering, I wanted to create an app that will keep a drone operator worry free and get his or her job done effectively and I feel Drone-Tek achieves this goal,” Golden said. Golden and Wolf-Tek plan on releasing an IOS version of this app soon, while also working on connecting to other drone models and adding new features for the app in the following months.